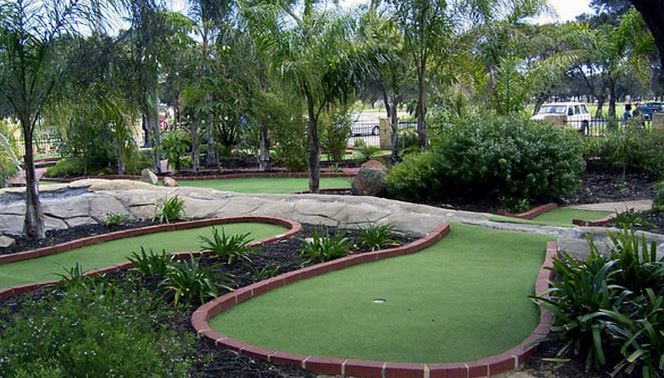 Find mini golf courses in Perth & WA here - there's nothing like a good old friendly family game of mini golf to bring out the competitive spirit in everyone. 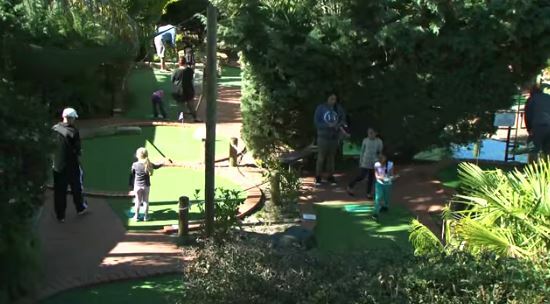 Mini golf is a popular pass time for families and this is most likely why you can find mini golf courses all over Perth and in popular WA tourist locations. 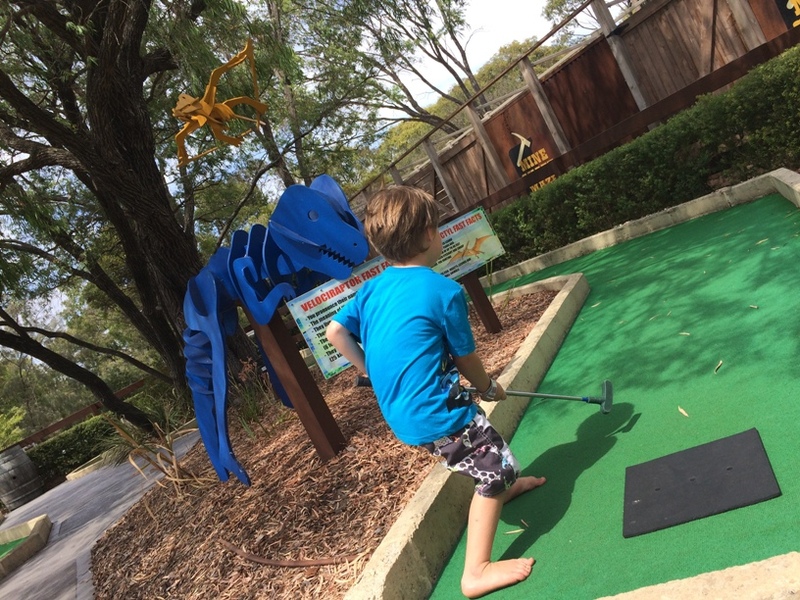 Caladenia Mini Golf and Le Shed Cafe is located north of Perth in Gingin, and makes the perfect destination for a drive out of town with the family! 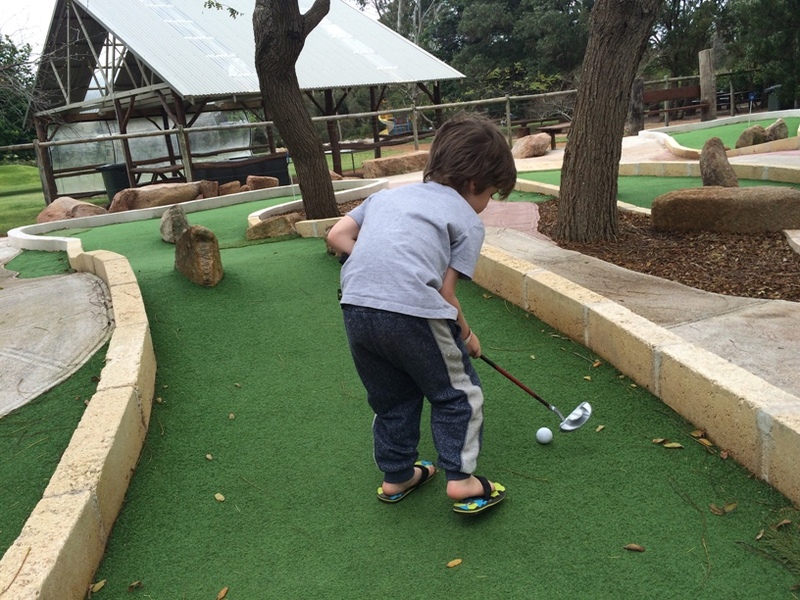 18 hole mini golf, beautiful gardens, farm animals and lovely cafe. 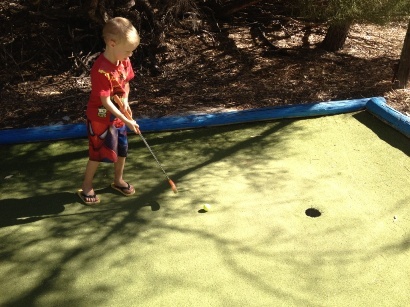 Mini golf from $8 for kids. 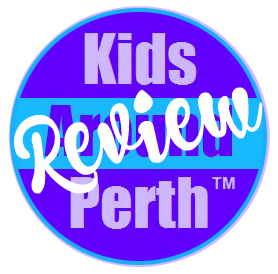 Probably Perth's oldest and biggest miniature golf course, with amazing botanical gardens and the lovely Leapfrogs Cafe or ice-cream to enjoy 18 holes. 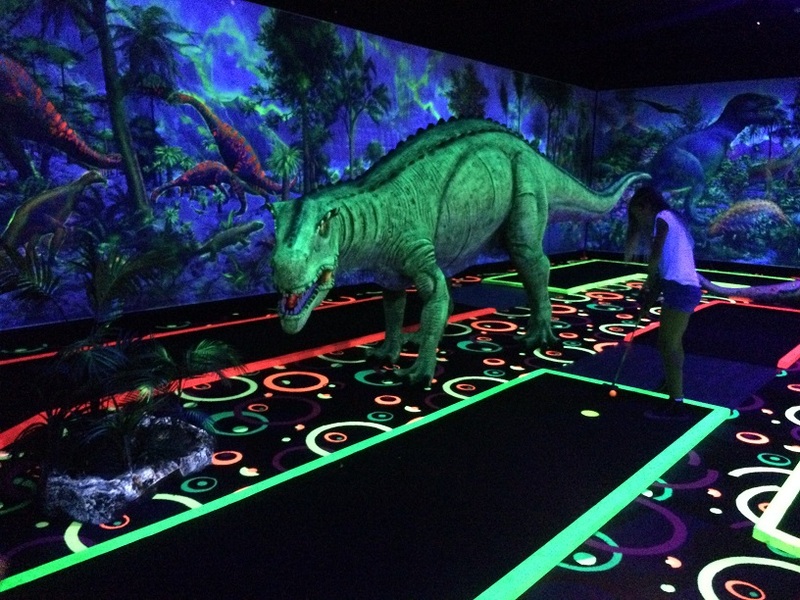 You must have a go at this awesome indoor, glow in the dark, interactive mini golf. 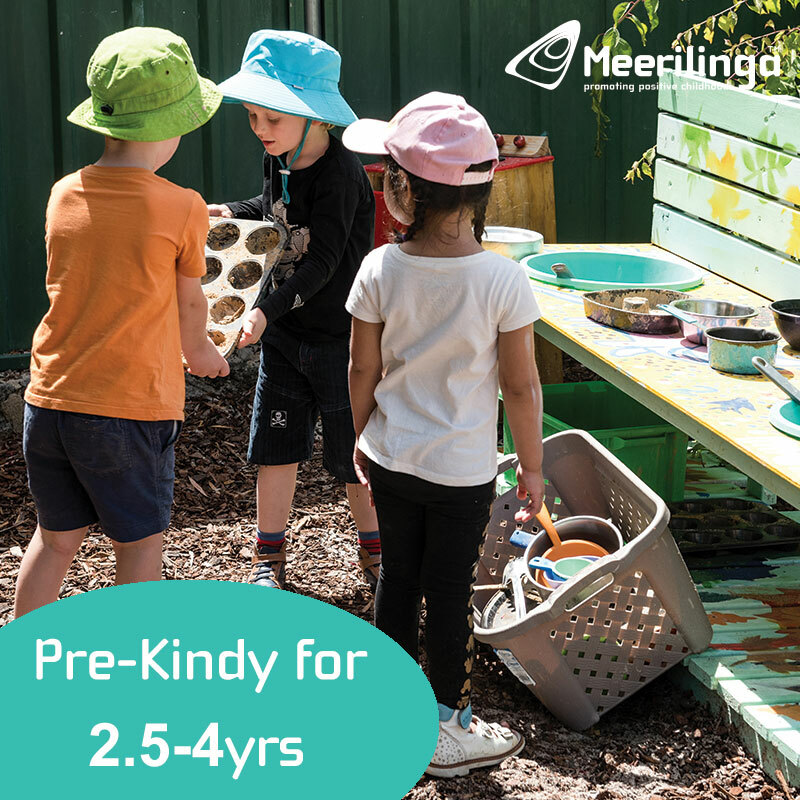 Lots of sounds and moving features a must for any little dinosaur fan. $7.50 per person for a game of glow in the dark mini golf in addition to your entry fee to Triassic Fun Park. 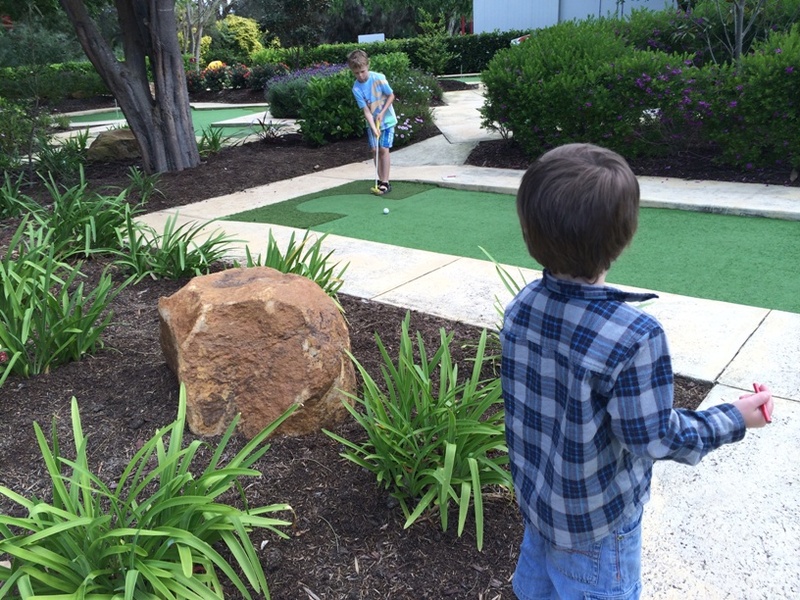 Ok Wacky Putt at Xscape at the Cape Dunsborough is probably the coolest mini golf we have played so far. Each hole has a unique sound, or other sensory experience - some that scare the pants off you first time. This is a must do if you are in the South West on holidays. 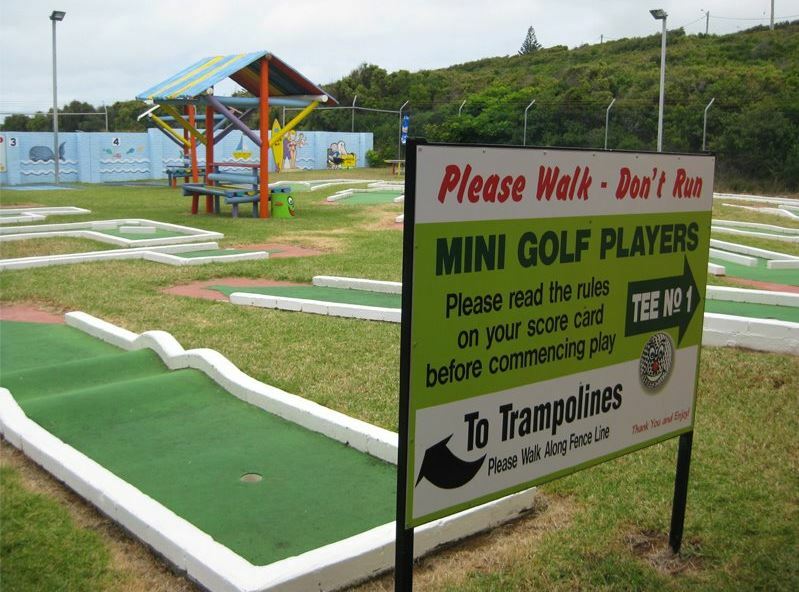 18 hole mini golf facility nestled at a peaceful and family friendly location. 13yrs and over $11, under 13yrs $7. 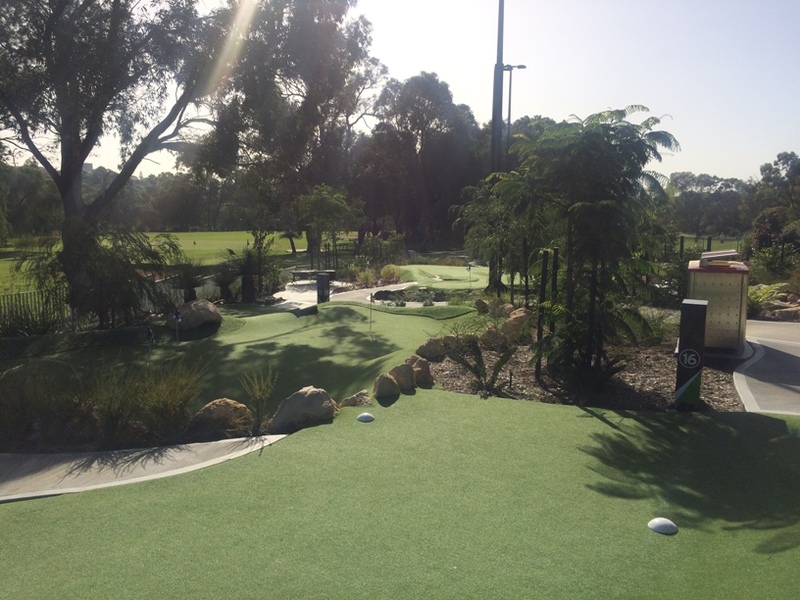 Custom built course set amongst beautiful landscaped gardens, complete with sand traps and water hazards. 18 holes, adults $14, kids $11 (family pass available). 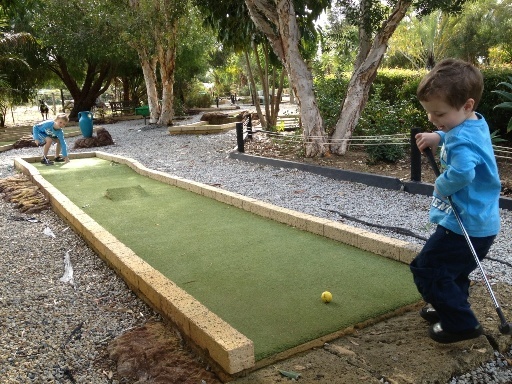 Adventure Golf open Monday - Sunday all year round. 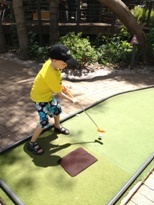 Additional to the very affordable entry, is a small fee to play a round or two of mini golf ($3.60pp). Not the flashest course you've ever seen, but gives the kids a break from the water. Maylands Waterland is open Nov - April. 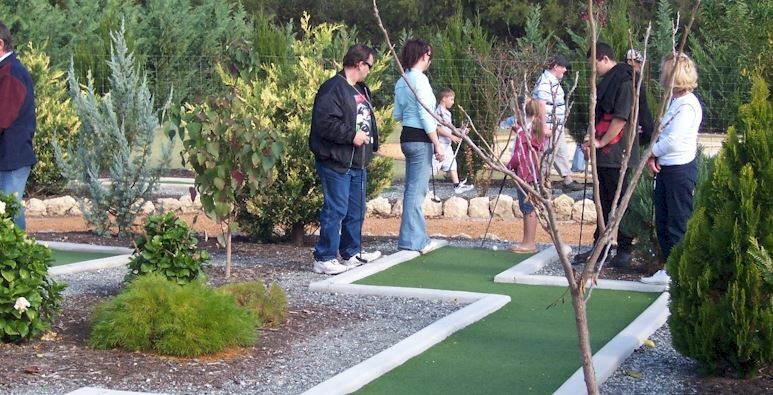 It's not a trip to Rottnest with out a fun family game of Mini Putt Putt at the Family Fun Park. 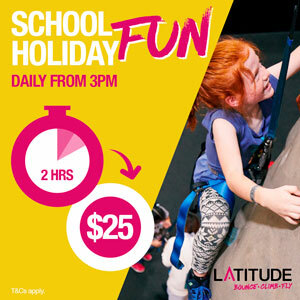 Adult $9, kids (u16) $5 or family pass for $24. 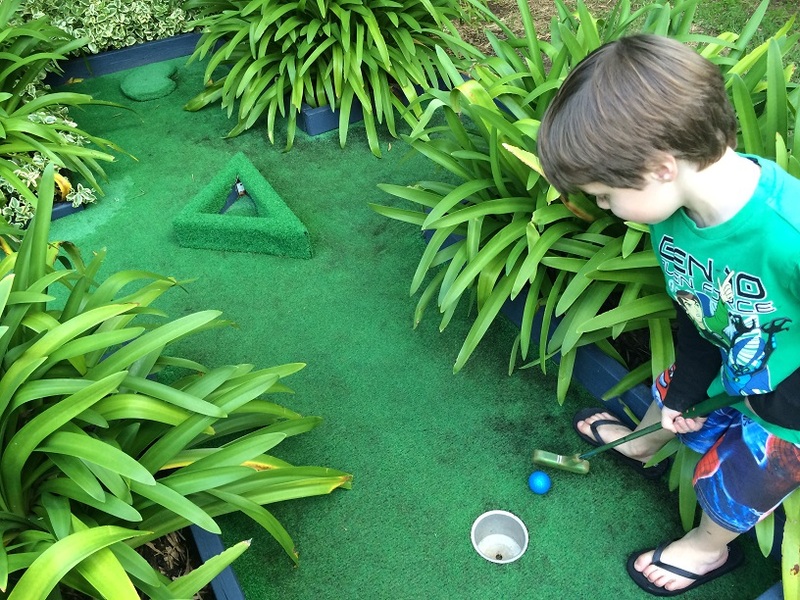 Once you've explored the mazes and enjoyed all the giant garden games - enjoy a round of 18 hole mini golf, included in your entry fee. 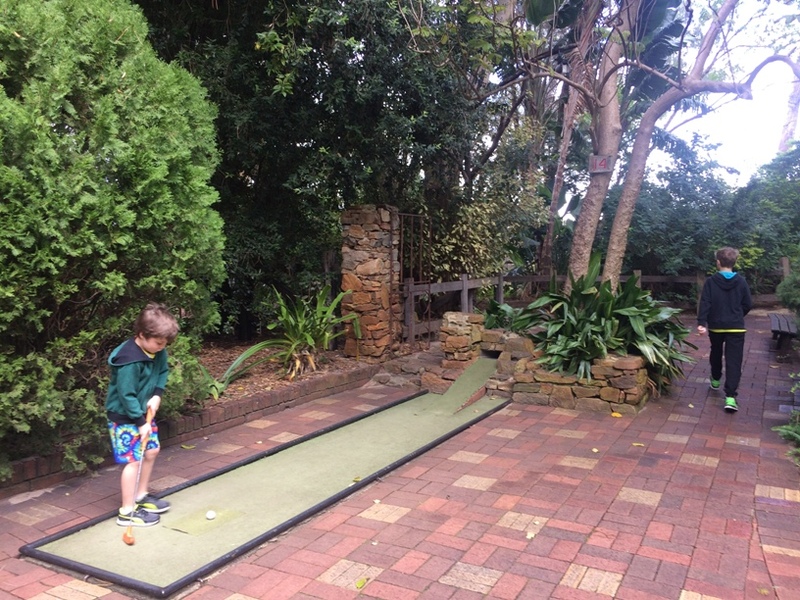 Entry to Simmo's Ice-Cream is free and those that want to play golf have to pay $8.50 for kids, and $10.50 of all those over 13yrs was really good value. It's a great course surrounded by beautiful gardens and features lots of golfing challenges. And of course you can finish your round of golf off with a delicious Simmos Ice-cream. 18 holes, including novelty holes amongst beautifully landscaped grounds overlooking the Wembley Golf Course. 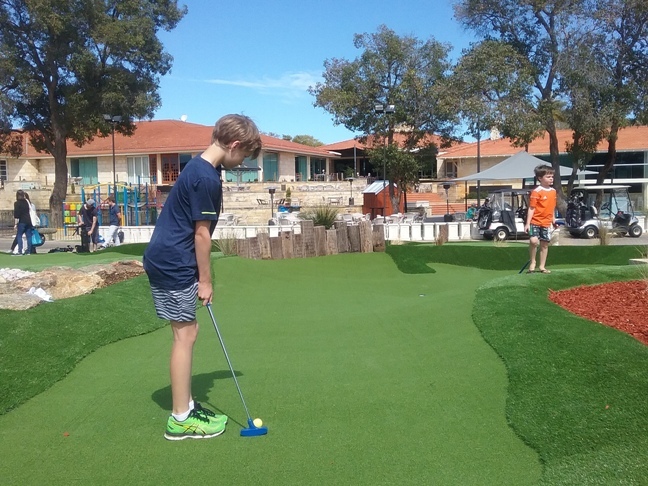 18 holes modelled on The Vines Golf Course, with cafe overlooking the mini golf course and small playground by the cafe outdoor dining area also. 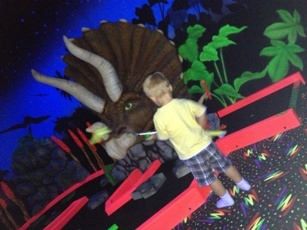 For just $2 on top of your entry fee enjoy an 8 hole round of dinosaur themed mini golf. 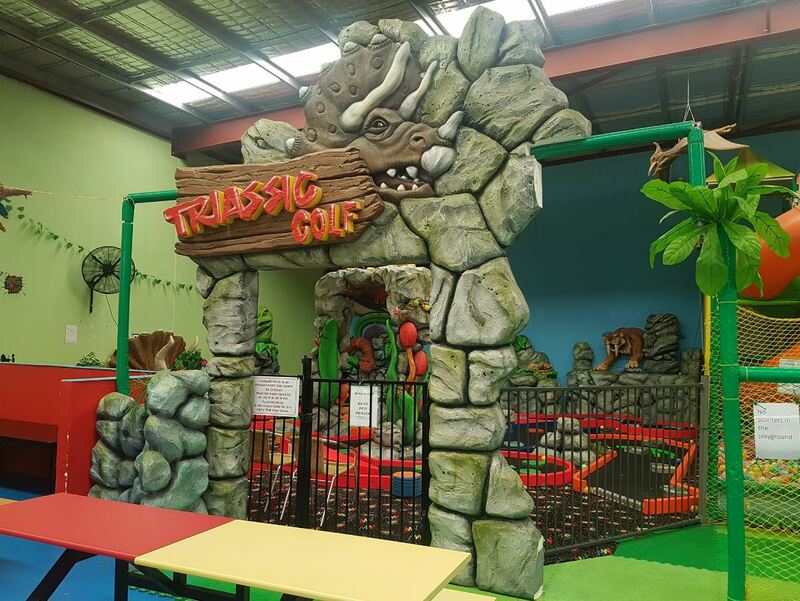 Get the family along to 18 holes of indoor, glow in the dark, dinosaur mini golf at Chillisaurus & Cafe. 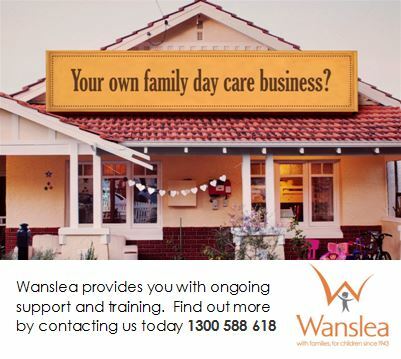 Open Tues - Sun. 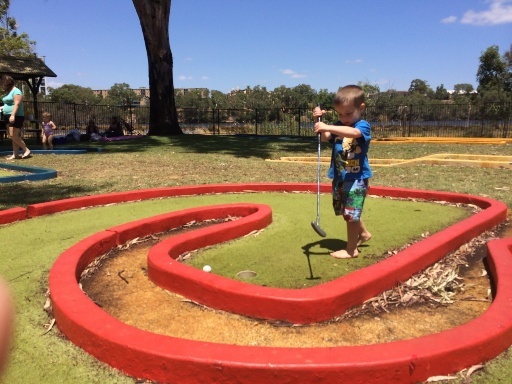 Next time you are wanting to head out for a game of family mini golf in Perth, check here to help you make your decision about where to go - as you can see we have lots of great mini golf courses all over Perth and WA.